Scientific Molding offers a scientific approach to the development of the process for a new mold. 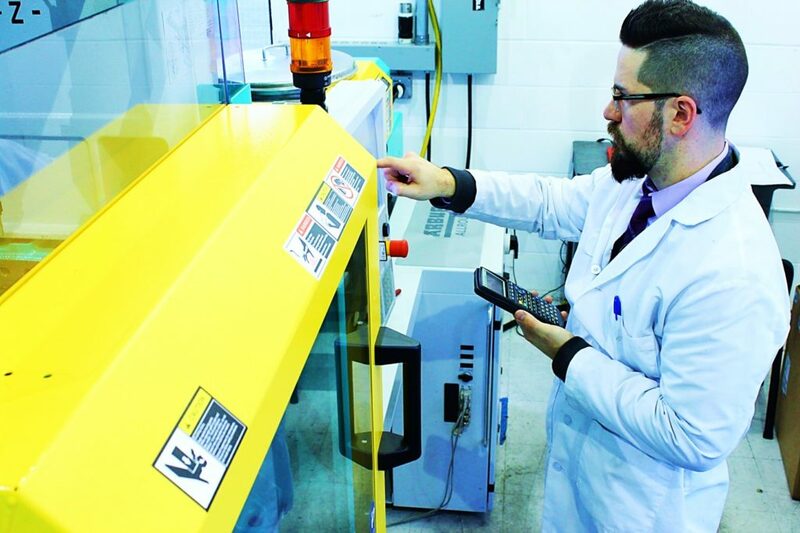 Each time a new mold goes into a new machine, a process engineer must define the process for that mold and machine combination. An existing mold in a new machine would require a new set of machine inputs that make up the injection molding process parameters. With conventional molding the technician defines machine inputs based on feel and intuition. This approach searches for one process that “works” in that moment. A faster, better process may exist, but in the interest of time, the technician moves to the next job. In the future, when that one process does not work for some unknown reason, the technician plays with the machine parameters until finding another process that “works.” This approach bears risks and over the long term can increase costs. By contrast, Scientific Molding replaces that art with evidence-based science. Scientific Molding establishes the injection molding process from the perspective of the plastic. The Natech Engineers have applied Scientific Molding in the establishment of their three-phase approach to process development. When Scientific Molding is used for medical molding, Phases 1 and 2 make up the OQ of IQ/OQ/PQ, and phase 3 makes up PQ. The Process Engineer sequentially defines key Scientific Molding variables such as injection speed and associated fill time, gate seal time, and aesthetic hold pressure window. If the mold is a multi-cavity mold, the degree of cavity balance is also assessed and rebalanced as necessary during this phase to ensure that cavity-to-cavity output uniformity is maximized before the process is fully established. Phase 2 focuses on performing a Design of Experiments (DOE), during which up to four key Scientific Molding variables are purposefully varied in pre-planned ways in order to gage how impactful each of those four variables are on the final output from the mold. After identifying the optimal set of parameters, a preliminary capability study pre-asses 30 consecutive shots for Scientific Molding Process Stability. 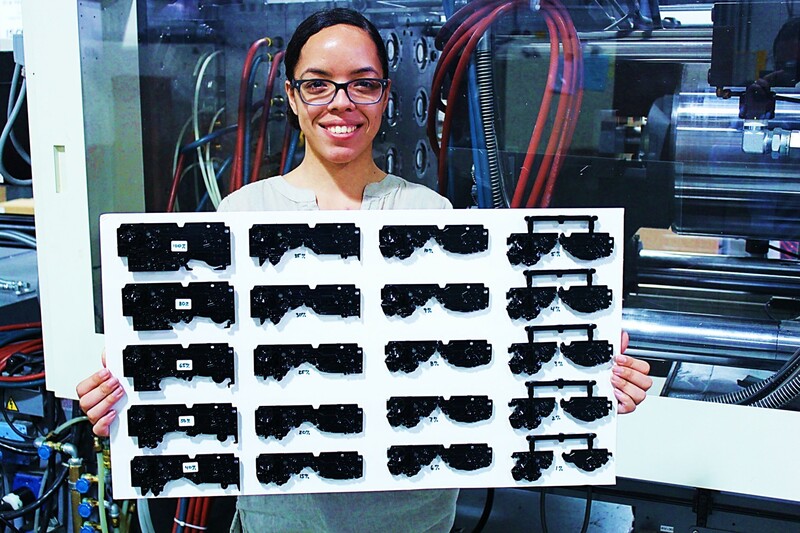 Phase 3 creates three discrete, 2-hour lots of production-ready, molded parts using the Scientific Molding process. Each lot utilizes a different lot of raw material when available. A 30-minute cool-down period separates each lot. The discrete lots with varying material lots simulate what the Scientific Molding process may experience over the course of its production lifetime – variation. The Scientific Molding process accommodates certain known variation throughout production, such as minor differences in material lot viscosity, ambient room temperature, etc. If the process cannot accommodate the variation, the Scientific Molding process development and optimization steps need further review. The end of Phase 3 analyzes thirty shots that were pulled at equally-spaced time intervals throughout all three runs. A full capability study analyzes the critical control dimensions to verify the performance of the process. Establishing only a single process that “works” at a point in time might seem expeditious in the moment but can be slow and costly over the long run. 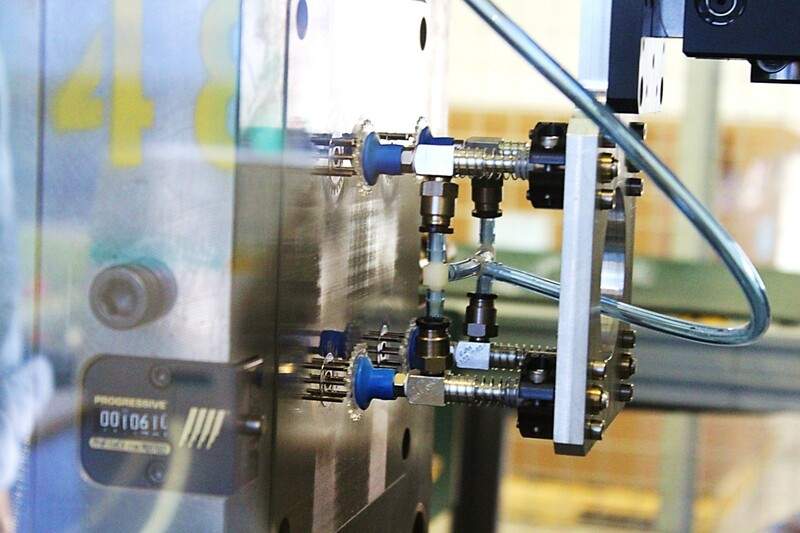 By establishing a clearly defined and scientifically proven processing window, the technical approach of Scientific Molding optimizes the injection molding process to simultaneously improve quality, speed, and cost.